Akasha Villa in St Lucia is unlike any other property you will find in the Caribbean. Laid out over four stories with an ultra-modern design this property is luxury living at its finest. With spectacular views overlooking Pigeon island and the Caribbean Sea, and breathtaking finishes and fixtures, you can easily spend your whole visit to St Lucia within the walls of the Akasha Villa. Located in the exclusive Cap Estate on the Northernmost tip of the island, the villa sits perched high in the hills offering the most breathtaking views and stunning scenery that the island has to offer. You can find your next adventure just waiting for you round the corner with the islands social center of Rodney Bay only minutes away. The outside space comes complete with one of the most opulent infinity pools found on the island with the edge seeming to plunge over the cliff into the lush green foliage below and the perfect place to take in the sunset over the Caribbean Sea. With seating available on both sides of the veranda along with an outdoor grill and al fresco dining area, this is the perfect place to enjoy a cocktail and some great local cuisine with friends and family. Everything you could ever need whilst on your stay in the Akasha Villa in St Lucia has been thought of with some amazing amenities including; an elevator to seamlessly move around the four levels of the property. A smart home technology system where you can control security, lighting, and audio for each room, full CCTV and gated grounds for peace of mind and a full staff and on-call concierge to take care of anything you might need from cooking and housekeeping to help with arranging activities or reservations. There are some excellent restaurants located within a few minutes of the Akasha Villa in St Lucia, where you can find some of the best examples of local and international cuisine. Rodney Bay can be considered a foodies dream with an array of dining options available. Rodney Bay is also home to some amazing nightlife where you can dance the night away with the friendly locals and visitors alike. There is also an 18-hole golf course and 2 beautiful sandy beaches located within the Cap Estate itself where you can relax under the Caribbean sun. 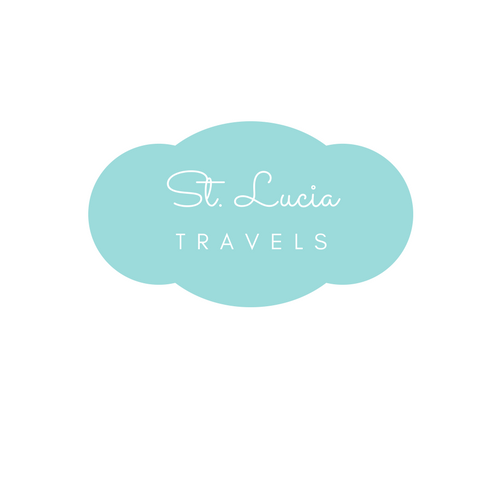 St Lucia is an island where you will be able to try something new and explore an oasis from land or sea. A few activities that you can find around the island that will get your adrenaline pumping include; scuba diving, kitesurfing, zip lining, boat charters, Piton hike and helicopter rides. If you are looking to relax and take life at an easy pace then definitely look at exploring the outstanding beaches and lush rainforests St. Lucia is known for or have a day out at one of the amazing spas located around the island where you can let the beauty of the island and rejuvenating treatments send you into a state of relaxation you didn’t think possible. Whatever you want to get from your stay in St. Lucia you will be able to find it. Here is a list of the top 10 things to do in St Lucia. Akasha Villa in St Lucia is a place where you can escape to a true paradise with your closest friends and family and enjoy in complete luxury the best that St. Lucia has to offer and with an amazing staff that is committed to going above and beyond, your stay will be as easy and relaxing as possible. Between the excellently delivered modern design and remarkable location, you will not be disappointed with any aspect of your stay at the Akasha Villa. Ready to book your trips to St Lucia and visit the Akasha Villa? Click here for rates and reviews. Your pictures are great and I can tell from looking at the pictures that this place is amazing. The villa looks like a good place to go and stay while on vacation. The beach and the views look awesome! Thank you for sharing! Akasha Villa is absolutely luxurious! The interiors are so neat and the views around it are breathtaking! Would love to take a dip in that pool! The place looks very cool and the view is amazing. I can totally see myself here. Those pools look amazing! I would spend the whole trip there! Defiantly somewhere I want to go now!